In 2002, Bill Gates presented the first computer tablet, but it seems like the world was not prepared for it. The tablet was surprising, but the impact was insignificant. Compared with the fuzz about the first iPad that was released eight years later, we can say that this must be a really frustrating aspect for Bill and its team. It took about 13 years for Microsoft to recover from this shock, and the new Microsoft tablet might become the true competitor for the future iPads. Let’s see the characteristics of this table, and why it is considered a serious competitor not only for iPads, but also for Android Tablets released by giants such as Samsung and Google. The new tablet will be a part of a bigger family, and besides the great design, the tablet will also come with the new Windows 8 OS, which is already considered a revolution. 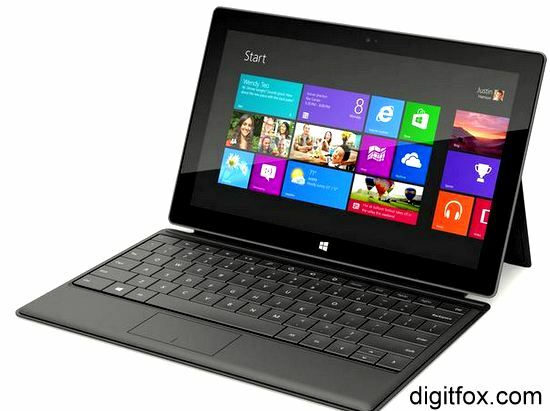 With the new Intel ivy Bridge Chipset, it seems like the new device will have a stability that was not known before. The design of the tablet is impressive, with the VaportMg cover that is made of a resistant metallic composite that will make it resistant to the most powerful shocks. It is a luxury case and combined with the QWERTY keyboard will make this product truly loved by users. The trackpad has a multi touch feature that will also offer an increased protection for the screen. This external device is connected with a magnetic interface that adds only 3 millimeters to the thickness of the tablet. The touchpad can even interpret gestures, being equipped with a pressure sensor. Microsoft will offer this feature separately, as it seems it will be pretty expensive. As we came at the delicate matter of price, Microsoft has not announced the price of this device yet. Besides the touch cover, the Type Cover keyboard is also available, with physical keys and with LEDS and touchpad. It is up to you to decide which one of those models is better for you. One thing is certain: this tablet represents a new step in the history of Microsoft, and even if the popularity will not be as great as announced by the IT giant, it will surely become a reference device for future tablets and devices of this kind, especially in terms of innovations and features. I am Susan Hannan from Test4prep; it gives 100% 70-450 test exams. Let’s take benefit of 70-481 test Exams material efficiently and get guaranteed success. Check out free demo of all certifications Exam.